In 3 days, we garnered over 2,000 free downloads for The Doomed Colony of Mars, which generated increase in book sales. In one of our previous articles about using the KDP Select Free Days, we reflected on our experiences using Amazon’s free promotion program. Since then, we have refined our preparatory strategies and seen better success using Amazon’s program, leading to more free downloads and, more importantly, improved book sales. This blog article focuses on utilizing social media to maximize your KDP Free Days Promotion. This is the first of a 3-part series on how to maximize your KDP Free Days Promotion. During the days your book is free, it’s imperative to tweet about the promotion. Moreover, adding the handles of book promoters to your tweets increases the exposure of your tweets and can garner ‘favorites’ as well as ‘retweets.’ Compile a personal list of twitter handles that help promote free books so that you can easily copy and paste them into your tweets. It’s inefficient to send individual tweets. So, before your free days begin, use a tweet scheduler to plan your tweets for the next two or three days, however long your promotion is. Schedule them at intervals of at least 2 hours as to avoid spamming your followers’ twitter feeds. 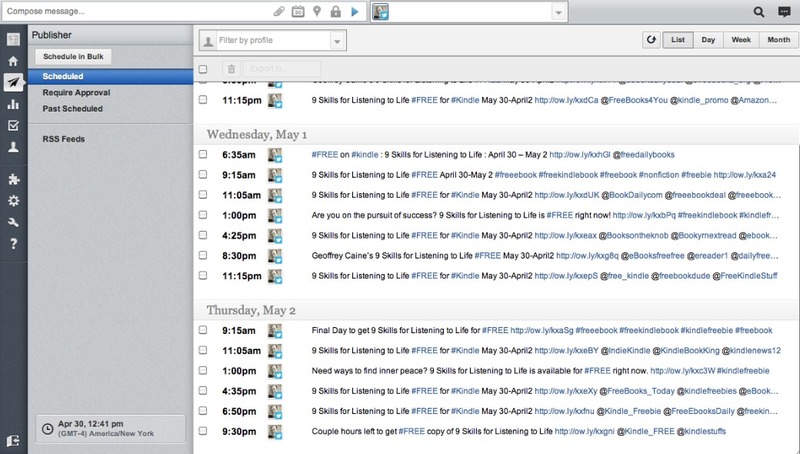 We use the free version of Hootsuite when scheduling our tweets, but there are many tweet schedulers you can download for free. When you contact book promoters, it’s always good to keep a log of their twitter handles. With each promoter’s twitter handle, create a private list on twitter. There’s no need to make it a public list. 1. Easily see who promoted and keep them on your promoters list. Having a list dedicated to just promoters helps you see which ones promoted you and ones that did not. Make sure to keep track of this information, so that you can continually update and filter your list of book promoters. When promoters tweet about your book, it’s important to strategically retweet them. Don’t just retweet all of them at the same time. Similar to the idea of scheduling your tweets at 2-hour intervals, retweet from time to time so that it is periodically refreshed into your tweets feed, reminding your followers of the promotion. There are several facebook groups that are exclusively for book promotion purposes. Most of them are private, so make sure to request to join the group before your promotion begins. In your post, provide the title, author name, dates that it’s free, a short noteworthy sentence about the book, and a link to the Amazon product page. It’s tough to say how much one facebook post on a book promotion page can help download numbers. But, it’s not time consuming and, moreover, it is a targeted strategy to expose your book promotion to a specific group of people. On each new day of your promotion, delete your facebook post from the day before and repost it so that it is at the top of the page. You want your post to be the first thing people see! You don’t have to limit your facebook posts to only book promotional groups. Introduce your free book to ‘Review Seekers.’ This facebook group is also private so make sure to request access to the group before your promotion. It’s also a good group to be part of because you always need to be looking for more book reviews. When posting on ‘Review Seekers,’ it’s very important that you explicitly say that you are looking to get reviews for your book. If you don’t, the admin will question your participation within the group and possibly terminate your access. It’s a great idea to post on this group during your free promotion because you don’t incur any costs of supplying the book to a potential reviewer. They get a great book and you get a review, possibly. Have you noticed that the ‘total reach’ of your facebook posts have gradually decreased in the recent past? Facebook has been decreasing your ‘total reach,’ so that you are drawn to using their paid promotional boost function. Is there a way around this to increase your total reach without paying money? As you see in the image above, the top two posts had a ‘total reach’ much higher than others. This is in no way a proven way to make your facebook post go viral. Who knows how the facebook algorithm works? But, it seems as though a post with fewer words and an image is more likely to have a better reach than text-heavy posts. What About Before and After the Promotion? The several social media strategies that are explained in this article are things you need to be doing during the promotion. There are many other marketing strategies that we employ before and after the promotion that are critical to the success of utilizing the KDP Select Free Days Promotion. 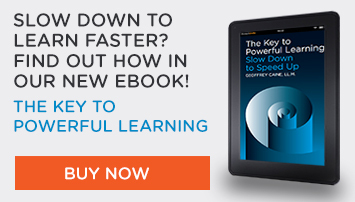 This is the first of a 3-part series on how to maximize your KDP Select Free Days Promotion.